Overall, FRDC won 7 awards, while Four Dimensions Retail Design received 6 and DCA Architects won 5, while Project 810 bagged 4 awards and Restore walked away with three. 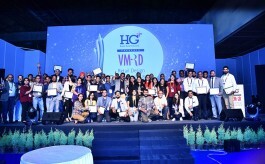 FRDC, Four Dimensions Retail Design and DCA architects bagged the maximum number of awards across categories at the glittering VM&RD Retail Design Awards function that was held on the evening of August 5, at In-Store Asia 2016 held at Pragati Maidan, New Delhi. 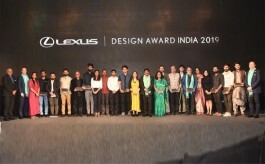 Overall, the event had 23 categories with 63 awards. 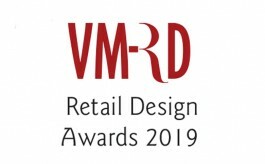 Overall, FRDC won 7 awards, while Four Dimensions Retail Design received 6 and DCA Architects won 5, while Project 810 bagged 4 awards and Restore walked away with three. Apollo OP Pharmacy by Figments bagged the prestigious Store of The Year award, while the award for Best Stall at the In-Store Asia 2016 Expo was bagged by Disha Retail.